I need to have variations of the same or one sample scratch. Like i.e. i have a horizontal scratch and want to create 50 iterations with tiny variations of it. I have attached one image. 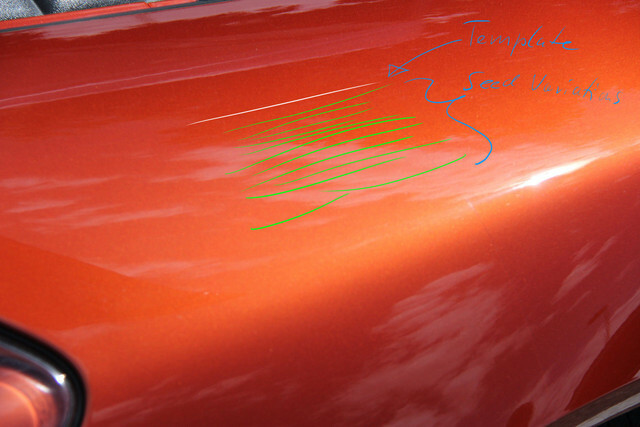 Let us say i want to use the same style of the heavy scratch in the surface but not the exact same. Rather have substance designer to create a seed 1-1000 and vary according to inputs such as vertica noise, taper, etc. in the image attached i schow what i mean. White scratch would be my first reference and i want to create the many iterations of it (shown in green). What would suggest is the best way to automate this as much as possible? What you're asking is the perfect job for the FX map! great! Thanks for the reply. That is exactly what I am looking for. i pushed myself through 5 tutorials on FX Map. I have a metal shader made after a tutorial (good enough for the purpose) and a simple scratch fx map substance? Anyhow. The question is how do i get them blendet together so that i could export 2K textures with the metal in the background and the scratch layered on top of it? 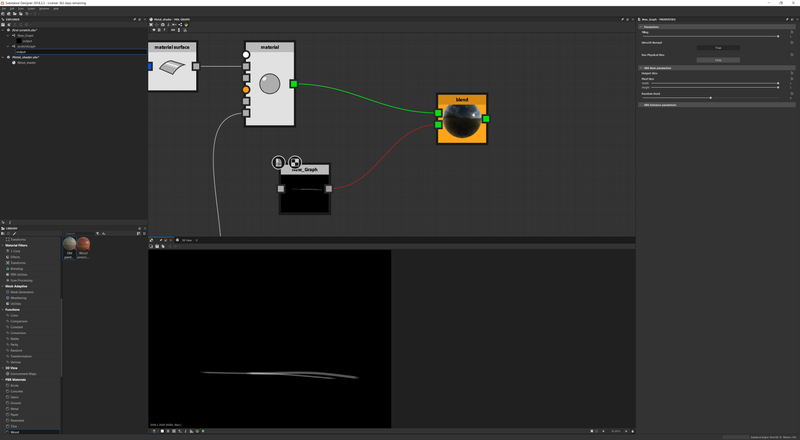 Would you be able to point me to the right nodes and / or workflow how to export everything? When I drag the graph from the scratch generator into the metal shader and connect it, it looks like this. But the scratch generator gives out a float? I am trying to figure out how to change that but i think i must have done smth. fundamental wrong. The FX map graph has an output node at the end. Technically i want to make it that the scratches have roughness maps, normal map, base color etc. Could you recommend a tutorial or smth exactly for that?